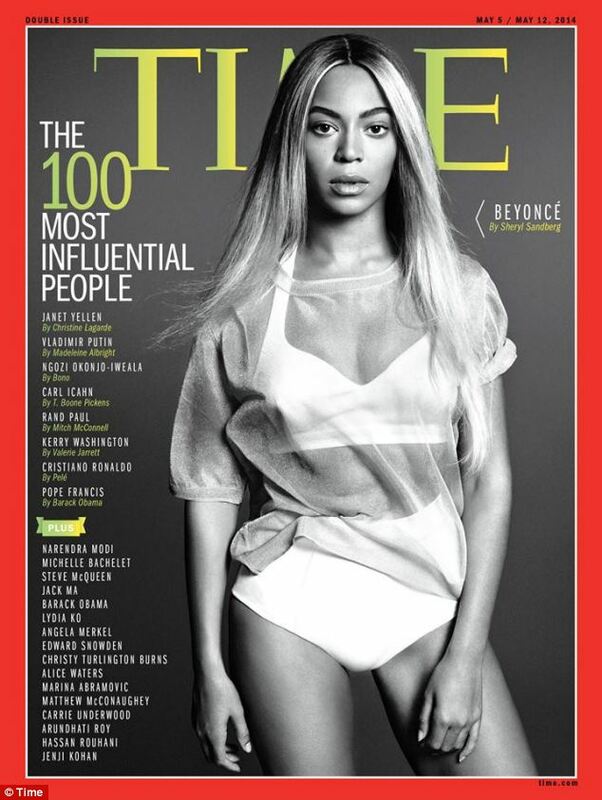 Beyoncé has landed the cover of Time magazine's annual '100 Most Influential People in the World'. The pop queen beat other names on the list - from President Obama, Hillary Clinton, Vladimir Putin, Pope Francis and Miley Cyrus - to feature on the coveted cover. Further covers placed inside the magazine feature actor Robert Redford, the NBA's first openly gay athlete Jason Collins, and General Motors CEO Mary Barra. 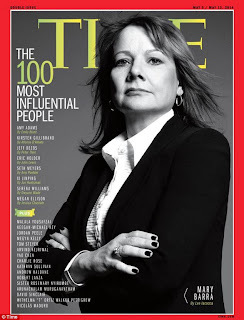 Time's 'Most Influential' list names people who have inspired others, regardless of their moral standing. 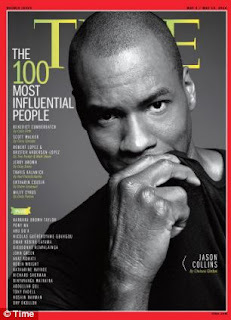 The list also includes a profile by another star, explaining why the person deserves a spot. 'She's the boss,' Facebook COO Sheryl Sandberg explained in her profile of Beyonce. Beyoncé appears in the 'Titans' section of the list alongside Pharrell Williams, Hillary Clinton and Jeff Bezos, while other sections include Pioneers, Artists, Leaders and Icons. 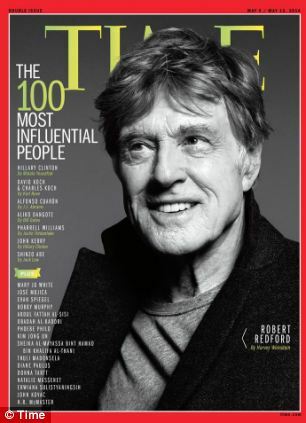 Time listed Kerry Washington, Amy Adams, Frozen songwriters Robert Lopez and Kristen Anderson-Lopez about the most influential artists of the year. Nigeria's Minister of Finance, Ngozi Okonjo-Iweala and billionaire businessman Aliko Dangote and eight other Africans made the list which was released today. The list also includes President Obama, Chile President Michelle Bachelet, US Secretary of State John Kerry, Pharrell, scandal star, Kerry Washington, my own #RealMadrid Star Cr7 and Serena Williams amongst others.